"Well-written, amazing characters, fantastic new series opener!" Pippa has spent years HIDDEN, trying to stay safe from the horror that her life had been. Thinking she is safe she looks out her window and watches as her new neighbor carrying box after box as he moves in. She shouldn't look, she shouldn't care, she certainly shouldn't want to get involved, but something about the bad-boy with amazing eyes awakens something deep inside her. Malcolm West just wants to find peace after his last undercover job went haywire. He wants to forget, but what he finds is he's there for a reason. The lovely neighbor might be in trouble or might be the answer that his new "best friend" wants. 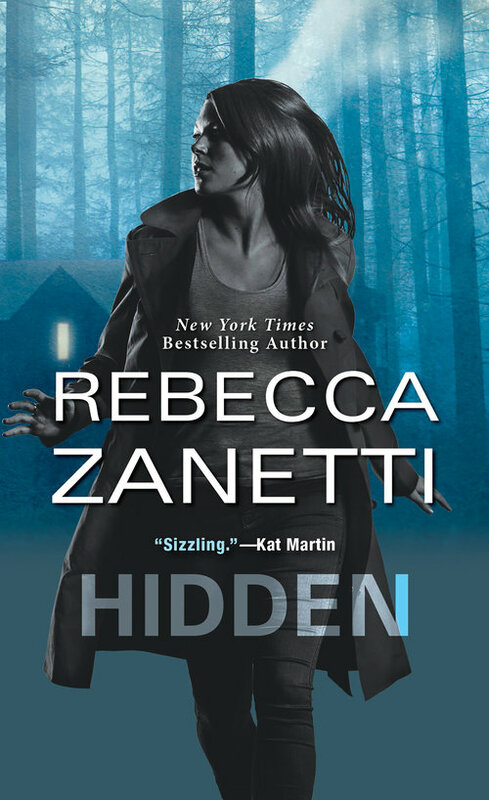 HIDDEN, the first book in the Requisition Force series, is fast-paced, dark, scary and amazing! Author Rebecca Zanetti does action suspense like no other author can. Her characters are not bigger than life in a lot of ways, but in the end, they certainly seem to be superhero's who protect the heroines who are, in the case of Pippa, trying to hide from someone who wants to do her harm. She, too, will find the strength to fight back, no matter what it takes. This book is intense, with his backstory and hers, the readers will want them to win no matter what it takes and there are moments that it seems impossible for the much hoped for HEA will come about. Have no fear, through the suspense, danger, fear, and anger there is also love, sweet moments, and the steamy ones expected by this author. I love the quirky characters, that are fast becoming the norm for this author but this group with Angus Force, Raider Tanaka, Brigid Banaghan, Wolfe and his ever-present Kat (you will love this guy) and Nari Zhang (the group's shrink), I cannot wait to see what happens next in the new Requisition Force series. HIDDEN will give you a sweet and steamy romance, action, fear, danger, and the camaraderie of men and women who have something to prove to themselves and each other and a happily ever after that will leave you with a smile on your face. Re: Well-written, amazing characters, fantastic new series opener!